Welcome to our website! 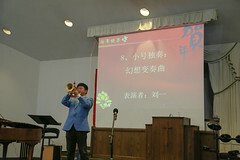 We are a group of Chinese Christians in Rochester, NY of America, coming from different areas of the world, with different age, education, vocation, etc. We came to know God through His truth and love, and love Him and His truth. Because of Christ’s love, we are here to serve you and introduce this best friend you could ever find in your life! Our church started from a fellowship meeting in 2002. Now we are a big and warm family with so many lovely brothers and sisters. Thank God’s blessings, our church purchased and moved to the current building in 2012. We hope it could be your home as well. If you have any questions or needs that we could be of help, please don’t hesitate to contact me or any other coworkers. 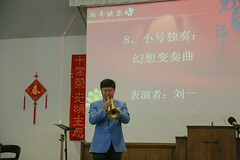 Hope to meet you at our English or Chinese Sunday worship, children or adult Sunday school, family group, student group, sister group, elderly group, youth group, or other activities!